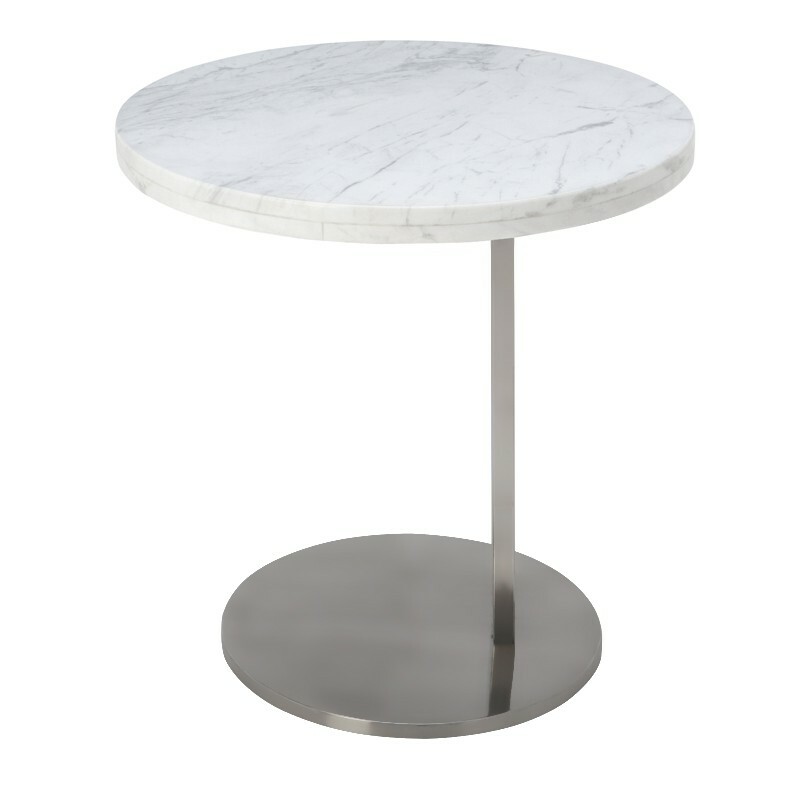 The Alize side table exemplifies pure contemporary design. 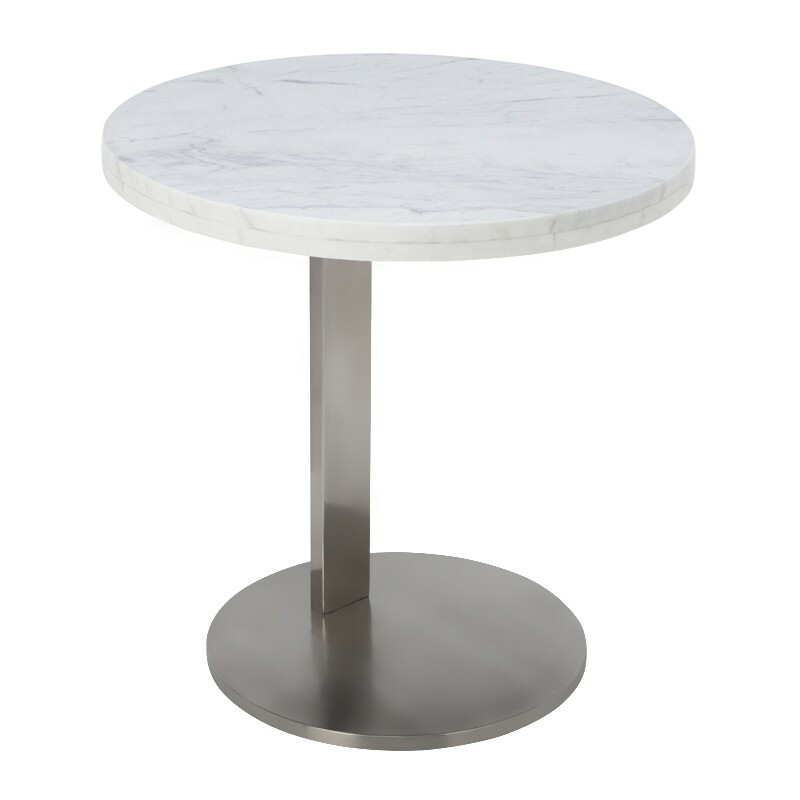 A circular base and column in brushed stainless steel supports a round 1 1/2 inch thick marble table top in white. The simple echo of circular form representing the essence of minimalism.